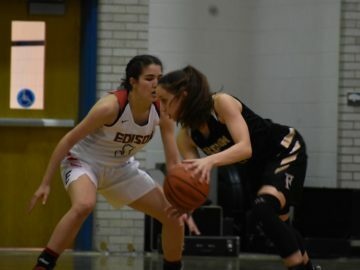 Edison's Aurea Gingras locks up with Freedom's Jalyn Scales. 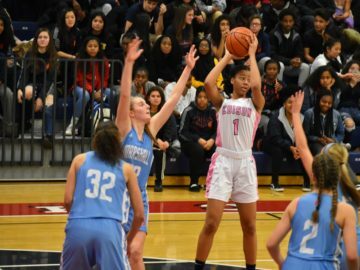 Gingras was key in her team's third quarter run. 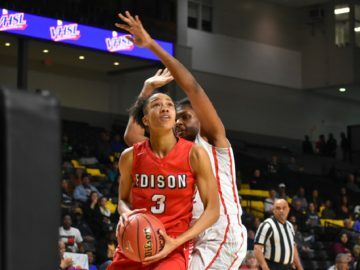 University of Virginia signee Carole Miller (18 points) takes it up strong during her team's 66-43 win over Madison. 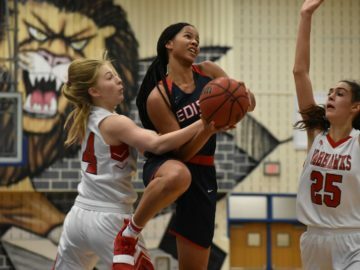 Charlotte Jewell was the jewel of a talented Edison sophomore class this season, which also included Bri Johns, CiCi Harris and Kaitlyn Lee. 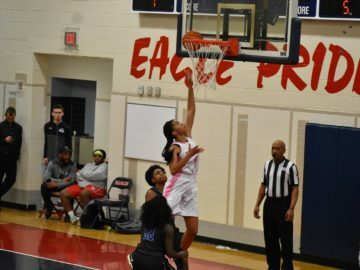 The Eagles' Tamrin Henderson is met at the rim by the Cavs' Brianna Jackson (15 rebounds). 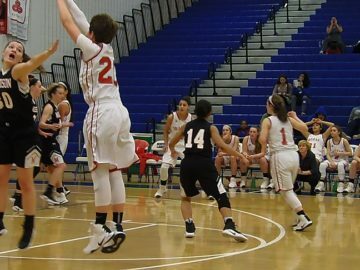 The Eagles' Carole Miller (12 points, 16 rebounds, five assists) prepares to dish after driving the lane. 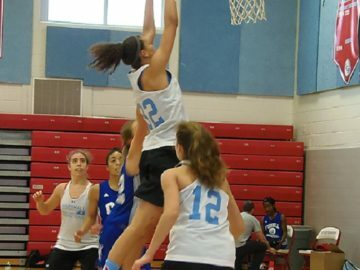 Marshall center Clara Ford, who will attend Boston College next year, is athletic, long and talented. 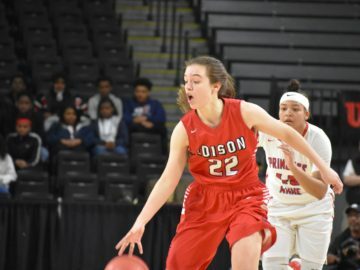 McLean's Elizabeth Dufrane has an exceptional shooting stroke for anyone, let alone a freshman.